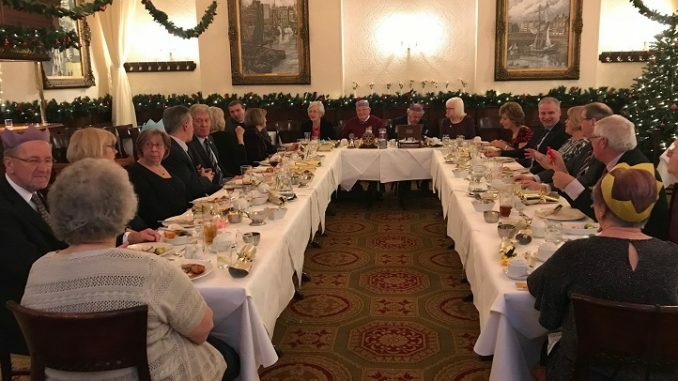 A Christmas party, organised by Past President Derek Brown, brought an end to the year for members of Ramsgate Rotary Club. A quiz and a popular ball game kept members entertained following the Christmas meal,provided by the Pegwell Bay Hotel. Among the winners were Margaret Searles, Henry Golding and Lawrence Page. On the instruction of Master of Arms, Andrew Jacobson, members not wearing their Christmas hats by the end of the evening were given a small fine, which was donated to the club’s charity funds. The next meeting, on January 9 will have a new year message delivered by member Carl Whitewood of the Salvation Army.